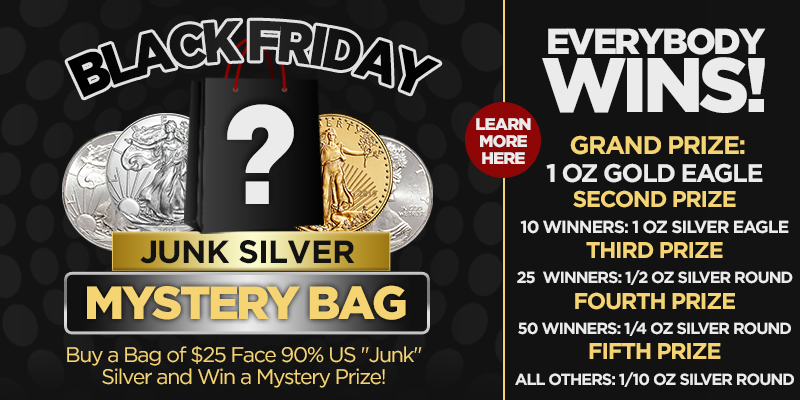 From Now Until Friday at 5:00 PM EST, Purchase a $25 Face Bag of US 90% "Junk" Silver Coins and Win! Every Order will be Shipped with One Prize. Please See the Prize Options Below. Grand Prize: 1 oz American Gold Eagle Coin, One Lucky Winner Will Win a 1 oz American Gold Eagle Coin! Second Prize: 1 oz American Silver Eagle Coin, Ten Customers Will Win a 1 oz American Silver Eagle Coin! Third Prize: 1/2 oz Pure Silver Round, Twenty-Five Customers Will Win a 1/2 oz Walking Liberty Silver Round! Fourth Prize: 1/4 oz Pure Silver Round, Fifty Customers Will Win a 1/4 oz Walking Liberty Silver Round! 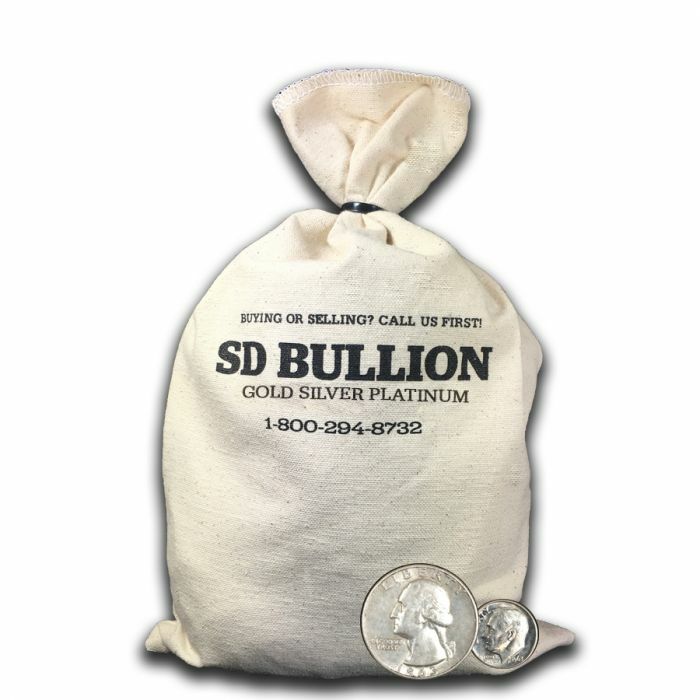 Fifth Prize: 1/10 oz Pure Silver Round, All Other Customers Will Win a 1/10 oz Walking Liberty Silver Round! Step 1: Open your order when you receive it to see which Prize you received!